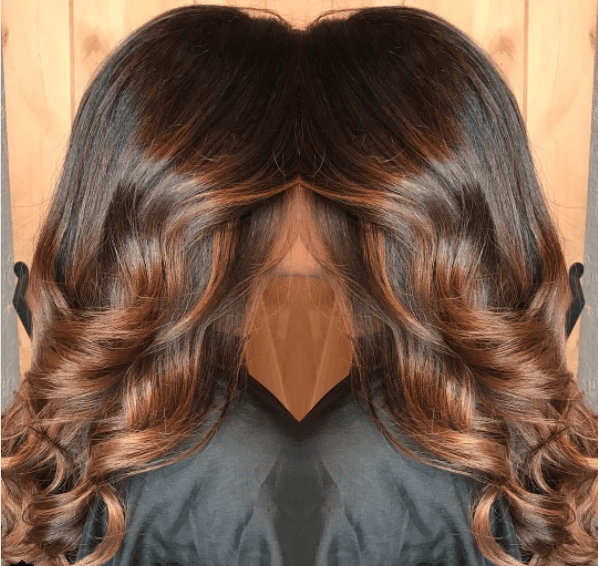 Our honey highlight ideas are for you to take your hair goals to the next level. 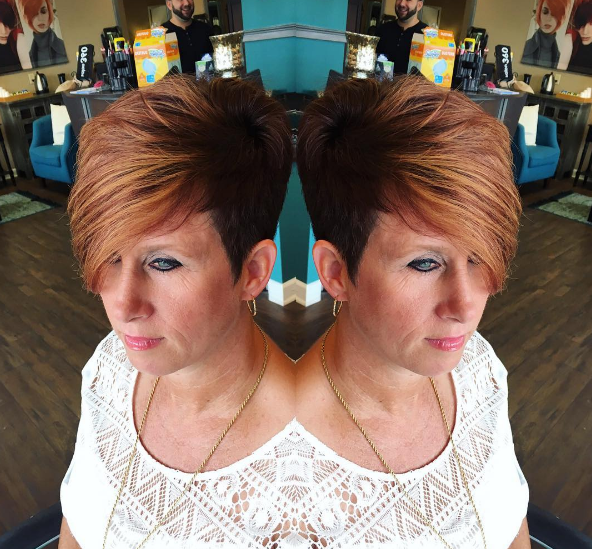 The color honey and it’s brother and sister colors are easily attainable and with the right hairstyle it can make any look, look great. 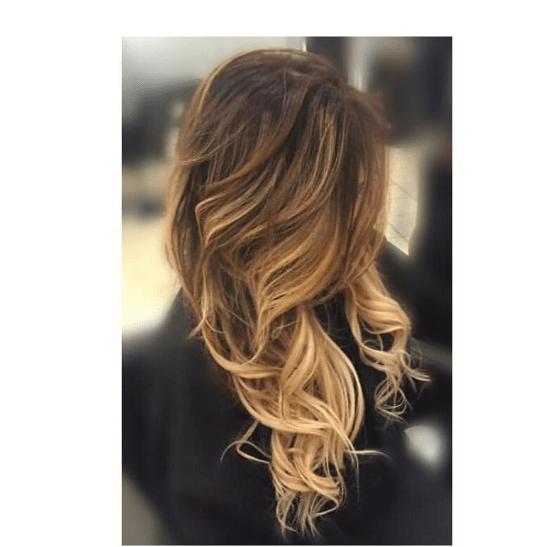 Check out our ideas and see the many different ways you can beautify your next hairstyle. 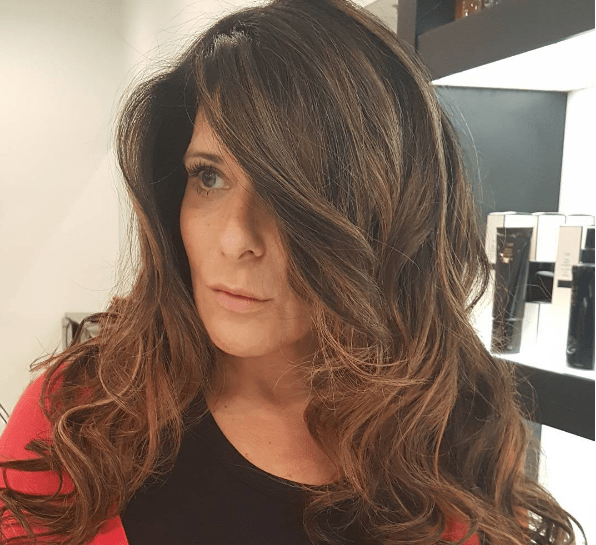 The long locks of this model are beautifully curled to heighten her caramel and honey highlights which she asked the stylist to distinctively ombrify. 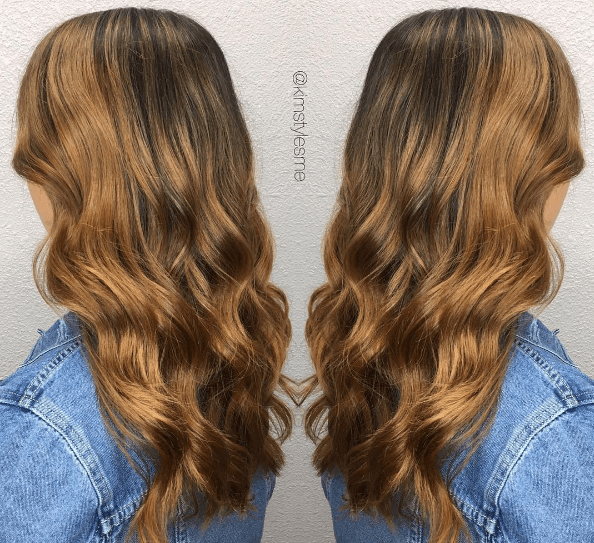 For this gorgeous dark brown to light honey ombre, the stylist used several different shades of brown that ties all together. 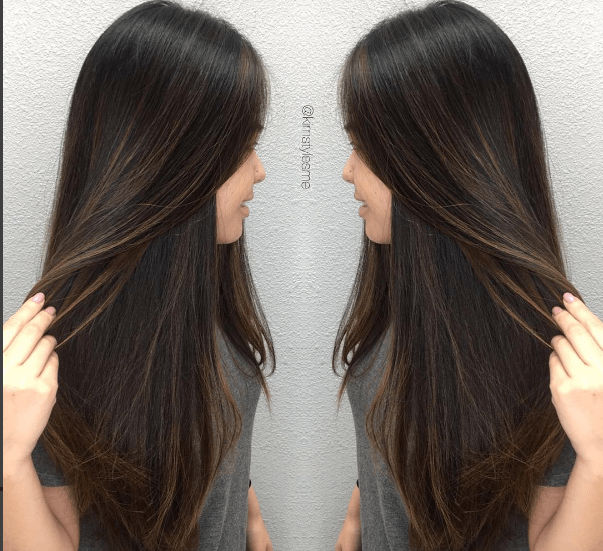 Streaks of caramel and touches of honey contrast the dark roots which complements each other well. 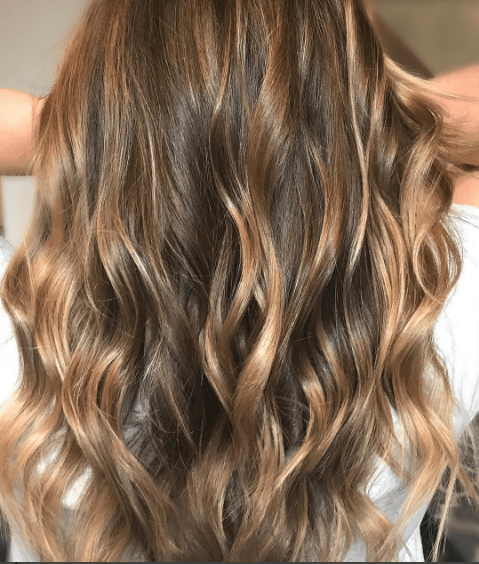 These beautiful waterfall waves start at a stable chocolate brown on the roots which lighten to a caramel with accents of honey, then drop to a complete base of blonde on the ends. This edgy hairstyle is cut short on one side of the model’s head, but the other side is styled and cut into a bob. The wildflower honey color offsets with the dark brown, almost black hair on the shaven side of the model’s head. In order to achieve this look, consult with a stylist who is good with shaving and cutting hair. A beautiful array of healthy hair we have here. 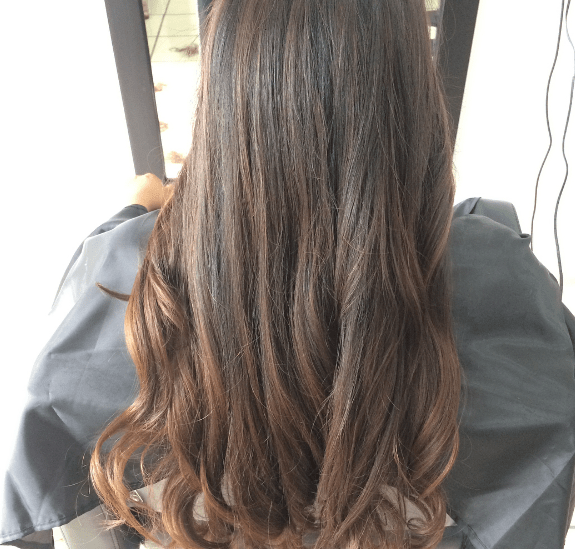 Shiny and long, this model’s hair is toffee brown starting at the roots and making its way half down. With a few peekaboos of honey touches, this paint job was executed well. 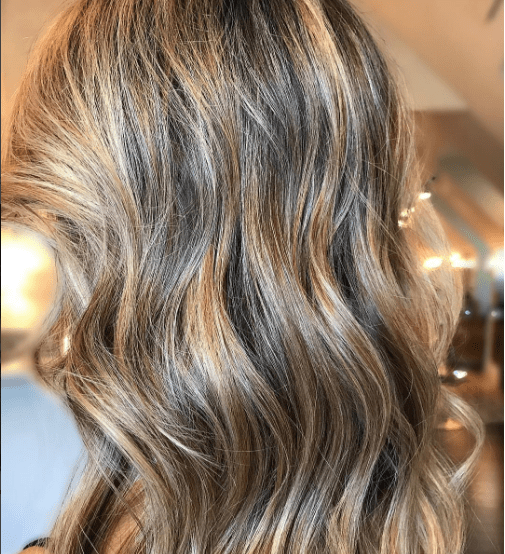 A light touch of the hand is all you need to achieve highlights like these. Almost the entire head of hair on this model is a natural, even brown, but if you look closely, there are very light touches of clover honey highlights. The highlights are most visible on the ends, especially the outskirts. This head of honey is a mix between orange blossom and premium. The different shades, with the keeping of the bold, natural brown, this look was painted so well it almost looks natural. 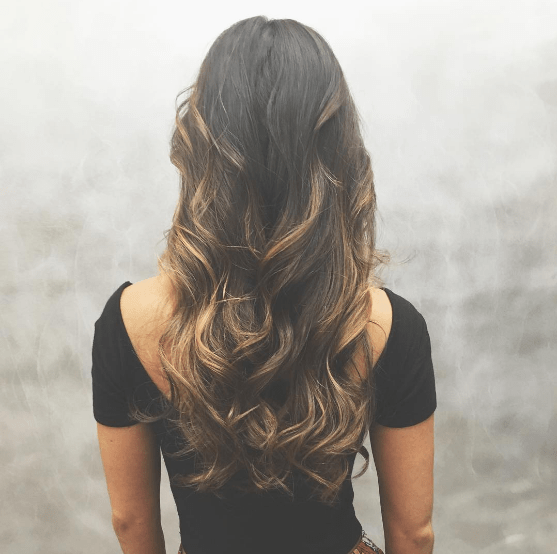 These shiny, super long amazing curls look almost too perfect to touch. The way the model’s hair lightened, looks as if the stylist had an easy process. The model’s hair resembles a gingerbread brown with tawny lowlights. This model is wearing a cute and simple hairstyle that can be worn at any occasion, even including a wedding. 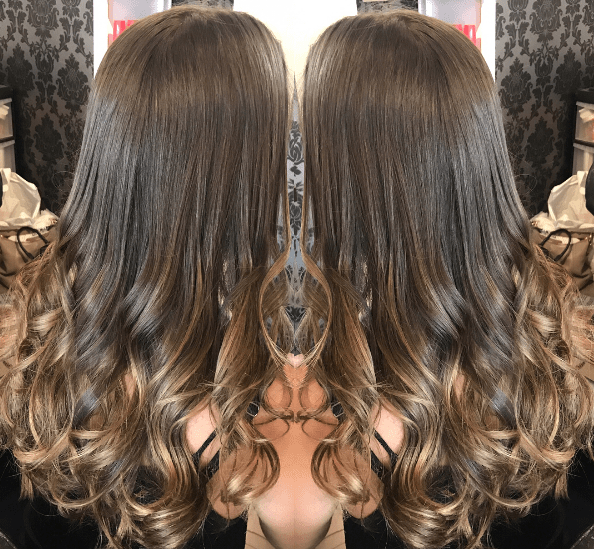 Her natural brunette hair was lightened to caramel highlights from about five inches down from her roots, down to her ends. If you are trying to achieve this hairstyle, curl the hair to the desired side of the face and pin it up with bobby pins. Hair this full and luxurious as seen on this model is a blessing in disguise. 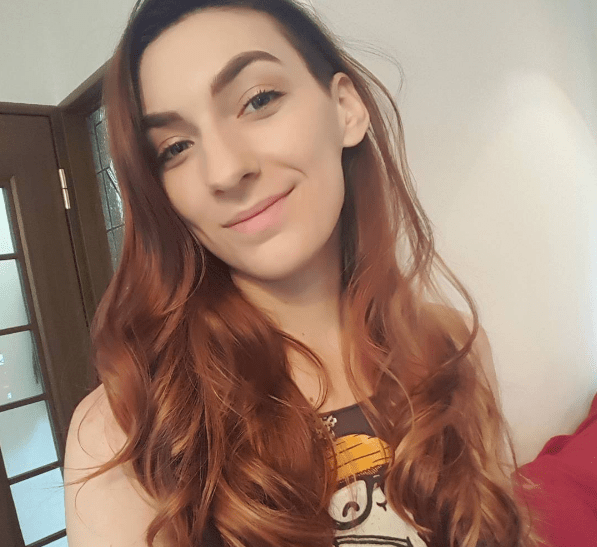 Although it may be a hassle to tame, the results are worth it. Her hickory brown hair was highlighted with brown and dark blonde highlights, with some touches of honey on the ends. The way the hair was curled really shows off the multitude of colors incorporated throughout. 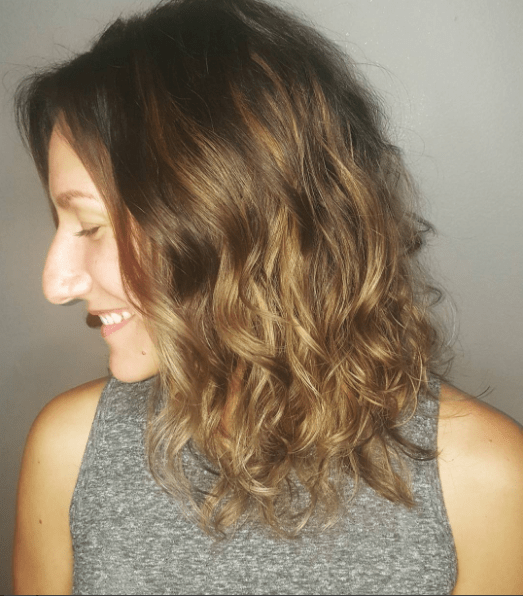 This head of curly hair separates the individual streaks of blonde from the brown. 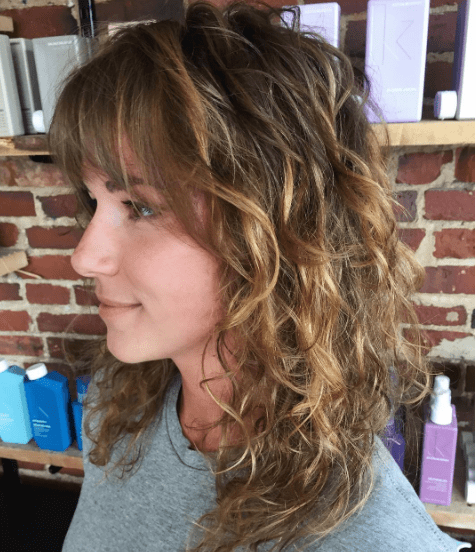 The model’s straight bangs contrasts from the golden curls. A shiv of mousse and a quick blowdry of the bangs is the easiest way to execute this look. Holy wow! This model has lengthy hair that is heavily colored, yet done properly. The model’s dark roots are still in tact. The stylist lightened large sections of the model’s hair to a golden brown. Truly simple and just the right transition color for the season change, this model looks extremely happy with her new hair. Natural on the crown of her head, she had her stylist lighten majority of her ends to a honey colored ash blond. This model has pin straight, deep brown hair with just some honey/caramel lowlights. Sectioning off the hair piece by piece was what the stylist had to do in order to achieve such a soft touch of thin lightened streaks. A heaven of honey ash. 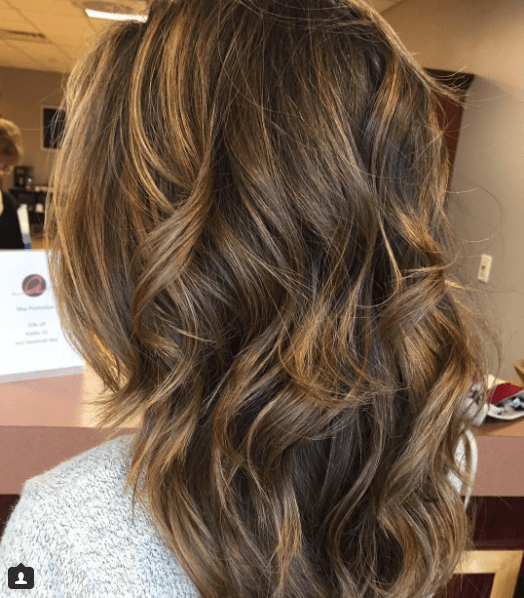 The stylist kept majority of the hair the model’s natural mocha color, but transitioned to a lighter color on just eight inches of the end. The curls at the end of the hair really accentuate the color. 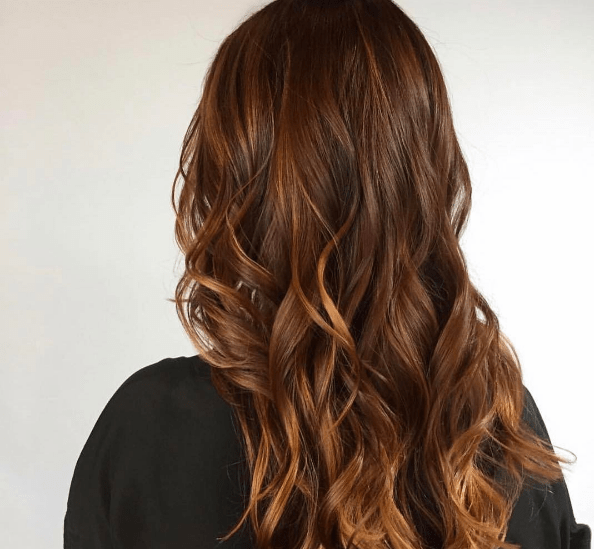 A sort of spontaneous and spread out ombre, more of the newly added highlights are incorporated throughout the entire head of hair with also large sections remaining with her natural deep brown hair color. The deep brown transitions from a caramel, to a golden honey, to what looks ash blonde. 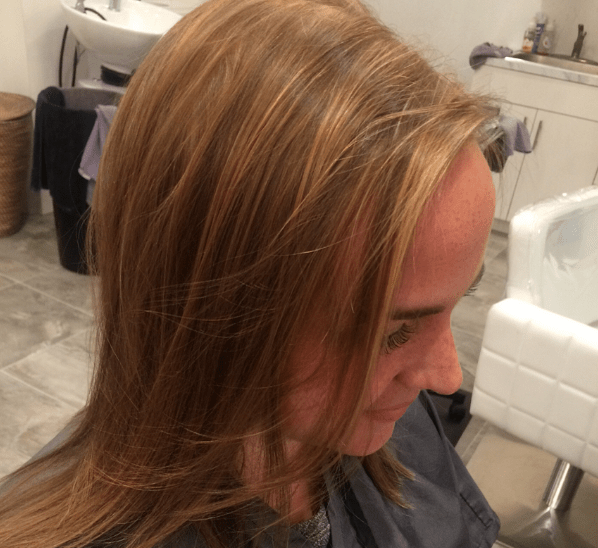 This head full of ginger hair color was accented with honey highlights on the ends. A red color like this does not appear natural on most, but if you attempt to switch your look to look as natural as the model does, tinting your eyebrows to match will help. You can not go wrong with babylights. This look looks natural and easy to attain. The model’s chocolate brown hair faded to a warm truffle and was evenly painted throughout.